Honor O Brolchain has been involved, with the Relatives Group (descendants of the Signatories of the Proclamation of Independence) in efforts to save the four houses (14 – 17) of the National Monument, Moore Street, Dublin, with their terrace of 16 houses, from destruction, undermining and radical alteration by Chartered Land in their attempt to create a suburban-style shopping centre over the streets and lanes of the area. 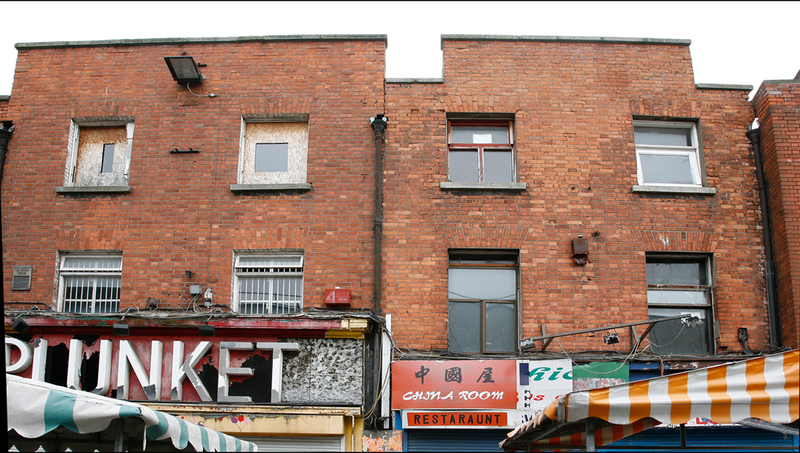 These sixteen houses were the last place of occupation by the 1916 Rising GPO Garrison after the fires in the GPO drove them out on Friday 28th April, 1916. They tunnelled their way from house to house and, with the leaders in No. 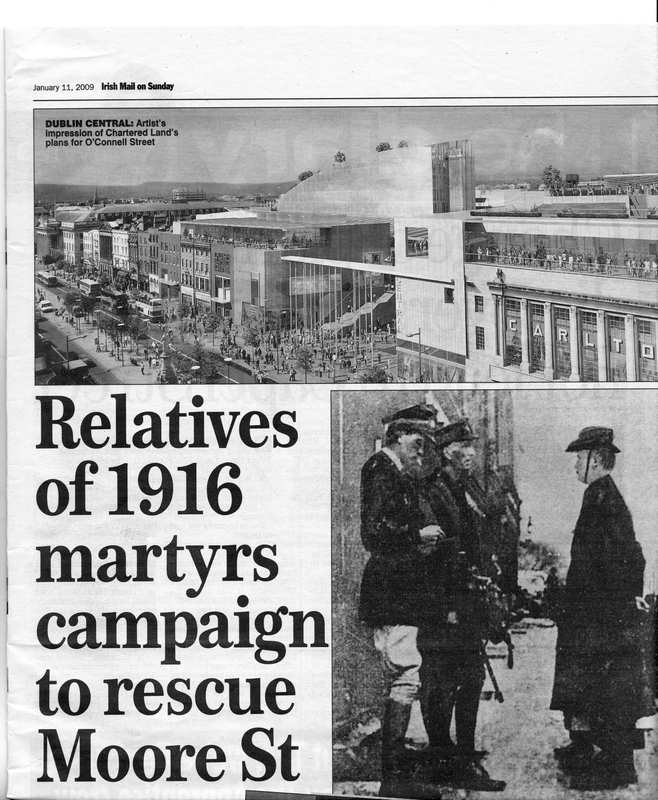 16, remained there until Patrick Pearse surrendered on Saturday 29th. He was then arrested and taken away by British forces. James Connolly, dying from gangrenous bullet wounds was taken to Dublin Castle and the remaining members of the Garrison were led by Joseph Plunkett and Willie Pearse, their backs to the guns at the top of the street, with Thomas Clarke and Seán Mac Dermott taking up the rear, back down Moore Street, through Moore Lane, Henry Place and Henry Street to O’Connell Street to lay down their arms at the Gresham Hotel. 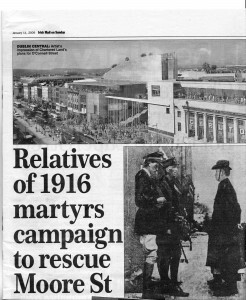 From there they were marched to the Rotunda Hospital and made to lie overnight on top of each other before being marched to Richmond Barracks, Inchicore, on Sunday morning. 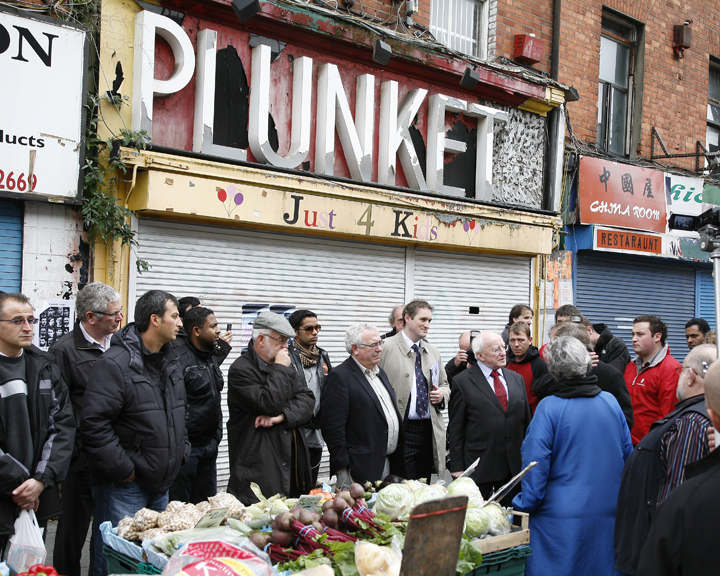 The Moore Street area has the capacity to be a history and culture quarter for the citizens of Ireland, the Irish around the world and those for whom History Tourism is a passion.